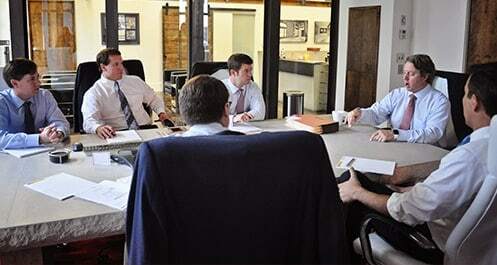 The Alabama product liability attorneys at Hollis, Wright, Clay & Vail, P.C. are working hard to obtain compensation for veterans who have been negatively impacted — primarily through loss of hearing, tinnitus, and loss of balance — due to the use of the faulty dual-ended Combat Arms Earplugs (CAEv2) developed by the Minnesota-based company 3M. The dates of use of the defective product by military personnel is between 2003 and 2015. The allegations involve claims that 3M sold the defective dual-ended earplugs to the United States Military, knowing the earplugs did not maintain a tight enough seal and allowed dangerously loud sounds to slip through without the user’s knowledge. In 2018, the Department of Justice (DOJ) announced that 3M agreed to pay $9.1 million to resolve these allegations. These funds, however, went directly to the U.S. Military to cover what the military spent to purchase the product. The funds do not benefit the thousands of injured military personnel. Currently, countless veterans are pursuing legal action against 3M for knowingly manufacturing and selling defective earplugs for use by military personnel. The earplugs did not maintain a tight enough seal and left many veterans with permanent hearing loss and damage. In 2017, more than one million veterans were receiving disability for hearing loss and more than 1.6 million were receiving disability for tinnitus which is ringing or buzzing in the ears. The attorneys at Hollis, Wright, Clay & Vail, P.C have a proven track record of obtaining compensation for individuals victimized by defective products. Our attorneys have represented thousands of injured individuals over the years in mass tort litigation matters and are well-equipped to handle your 3M defective earplug claim. Please remember that time is of the essence as a statute of limitations will most definitely apply to your claim. If you don’t file a lawsuit on or before the expiration of the applicable limitations period, then you will be forever barred from pursuing the claim. When you contact and hire our law firm, our attorneys will immediately start assessing the merits of your claim and determine the applicable statute of limitations. If you or a loved one used the 3M Dual-Ended Combat Arms Earplugs (CAEv2) during combat or military maneuvers between 2003 and 2015 and have hearing loss, ringing or buzzing in the ear or loss of balance, contact the Alabama 3M hearing loss attorneys at Hollis, Wright, Clay & Vail, P.C. at 205.324.3600, 844.LAW.TALK or here. We will provide you with a free consultation. If your claim is viable, then we will seek compensation for medical bills, pain and suffering, lost wages, and other damages. Don’t wait to call. Our law firm handles all cases on a contingency fee basis which means that we don’t get paid unless we recover money for you. Our fee arrangement with our clients really is that simple.